In 2014, crowdfunding sites were emerging left, right and centre across Africa, opening opportunities for entrepreneurs. While companies such as Jumpstart Africa, Akabbo, Thundafund and Orange Collecte have made it their mission to empower businesses across the continent. Now, a new quantitative report, the first of its kind, suggests that crowdfunding platforms in Africa are really growing, raising millions of dollars for entrepreneurs. “There were 57 active crowdfunding platforms headquartered and operating in Africa in 2015. South Africa leads the way in African online alternative finance, and has 21 operational crowdfunding portals. Nigeria comes second with nine crowdfunding platforms,” the report by AfrikStart, a crowdfunding platform stated. The report also suggests that the money raised by all crowdfunding sites accumulated to US$32.3 million in 2015, which is less than 0.1% of the global total standing at US$34.4 billion. South Africa seems to be leading the pack with a huge majority clocking US$30.8 million raised in 2015. Egypt and Nigeria secure the second and third places having raised US$842,000 and US$314,445 respectively. “Crowdfunding platforms founded and headquartered outside Africa, such as Kiva or Betterplace.org, raised $94.6 million in 2015 to fund various projects in Africa, primarily via donations ($48 million) and loans ($42.2 million),” the report revealed. Kenya became the top recipient by bagging US$21.7 million from foreign platforms. “Rwanda and Uganda were also the top favoured funding destinations, and received each respectively $8.7 million and $8.4 million,” the report said. Internet and mobile penetration on the continent has also spurred the growth and success of crowdfunding platforms. With mobile phone penetration of approximately 67 percent (unique users), the continent had well over 700 million mobile phone users with 127 million being smartphones. The majority of internet users in Africa get their connection through smartphones and feature phones. The majority of mobile internet users spend their time on social media platforms such as Facebook and Twitter. This has made it easy for campaigns to be launched on these platforms. The successes depend on the strength of fundraisers network. The report suggests that the growth of social media had a direct effect on crowdfunding in Africa and will continue to grow. Being a new way to raise funds on the continent, the early adopters found themselves with unique challenges that are bound to be solved if the existing platforms address them and customise solutions in accordance with the situation on the ground. Payment methods have become a dissuasive aspect of fundraising in Africa. Most foreign crowdfunding platforms accept debit/credit and PayPal payments which are not prevalent in Africa. Startups like MChanga have introduced fundraising through mobile money but most big projects still opt to fundraise on a global platform, where mobile money is not an option. Even for the African bred crowdfunding platforms, payment is still a big issue. “Kickstarter, the international platform with the largest critical mass of users, bars the raising of funds by individuals who do not have an identification card and bank account in one of the 18 OECD (Organisation for Economic Cooperation and Development) countries,” this is according to a report by Infodev titled, ‘Crowdfunding in East Africa’. One issue that has also bogged down entrepreneurs in Africa is the amount they desire to raise and the relevant data from previous projects in the same category. Depending on the project, the type of funding could impact greatly on a project. Wanda Organic, a bio-organic soil fertility technology company, targeted to raise US$45,000 through donations on Indiegogo. But for Marion Moon the CEO of the company, there is little information on similar fundraising promotions. Moon did not have the information that would have helped her make the best informed choices depending on the region she was raising the funds for. The company didn’t meet its target. But there have been successes even in this region. The ‘internet generator backup’ project BRCK successfully to raised US$172,000 to develop its prototype. The company has gone ahead to raise over US$ 3 million in consecutive private funding rounds. In 2014, a project named Shake Your Power surpassed its US$50,000 target to bring renewable energy to developing regions by using musical instruments that generate power when shaken. One similarity that these successful projects have is the fact that the founders have a global network reach and this can help funders also raise money. Having a global appeal and a project that will have a great impact on the targeted audience are likely to be successful. In addition, having a unique solution that can be prototyped and solves an immediate and relevant need could be candidates for funding. Statistics suggests that there will be a growth in crowdfunding in Africa with 2016 seeing an increase to US$190 million according to AlliedCrowd. “Crowdfunding is at a very nascent phase in Africa. In 2015 nearly 25% of the platforms launched were just venturing into crowdfunding: they were either at an ‘idea phase’ or had at least a ‘prototype’ of their crowdfunding website,” the AfrikStart report said. The World Bank is more optimistic about the future and it estimated that the crowdfunding market will be at US$2.5 billion by 2025. These estimations and projections will be buoyed by mass education across the African continent on crowdsourcing, businesses readying themselves for crowdfunding along with the economic fortunes of the continent changing for the better. 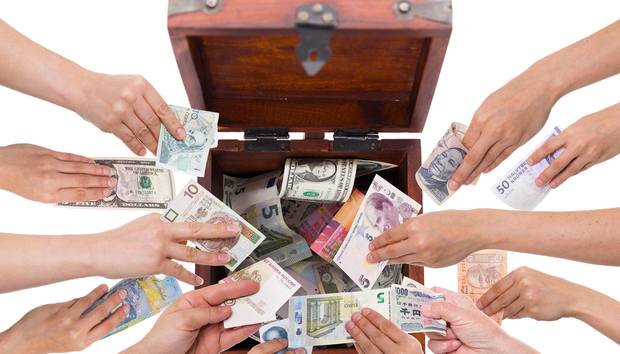 Crowdfunding: Viable alternative to VC funding or glorified marketing?